CLB has leveraged decades of experience in the field of paging and critical communication systems to develop its Messenger apps. Safety features such as notification delivery monitoring and active out-of-reach signalling, as well as configurable message escalation paths, makes the system truly reliable and suitable for use in life-critical situations. Updates can be managed remotely and pushed to a device. In addition to saving time and reducing maintenance costs, remote updates increase both security and control over installed versions. The apps are designed to be intuitive and easy to use. Information can be recognised at a glance. Follow-up options are displayed only when available, and are only one touch away. Other media types such as video, speech and maps enrich notifications with information and controls to help the caregiver to respond more effectively. CLB apps are designed to operate in locked kiosk mode (3rd party app) that gives the organisation full control over access to applications. 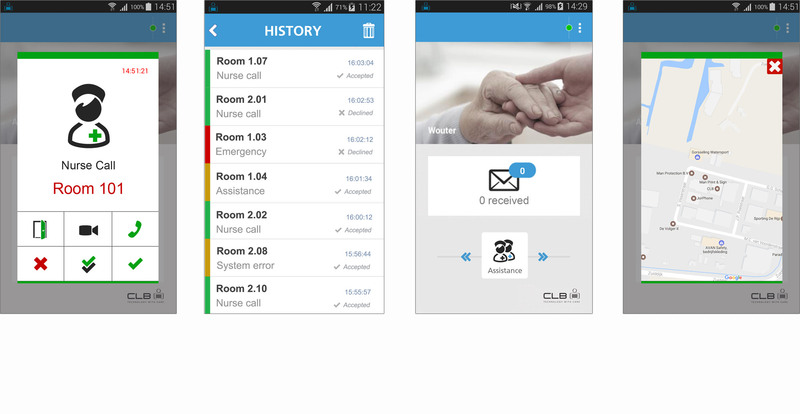 The CLB Messenger gives users mobility while staying connected to residents who depend on their care. Staff can handle notifications while on the move. 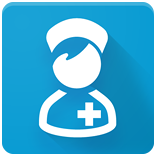 The CLB Medical Messenger is the core application which notifies staff about any alarm, call or request for care. One of its specialised capabilities is distribution of alarms coming from medical devices* such as heartrate monitors or infusion pumps*. It complies with the requirements specified by EN 60601-1-8 “Requirements for safety and essential performance for alarm systems in medical electrical equipment and systems”. *Only when used as a component of CLB Unicare2 system for Medical Alarm Distribution. Available in selected markets only. The Smart Messenger extension allows the care provider to have audio, video and control connections with devices that are part of systems such as modules for acoustic monitoring or intercom. Staff safety is supported with the Emergency Messenger that has the ability to act as a personal alarm device in case the care provider is in need of assistance. The device’s position can be broadcast to make it easy for colleagues to locate the position of the emergency. 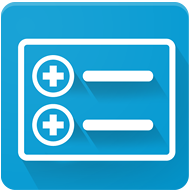 The Nurse Call Display provides an at-a-glance overview of all active calls. Calls are displayed sorted by priority and time. Calls which have been attended to are automatically removed. Head nurses can also view the workload by the number of open and accepted calls, and the elapsed time since the call was made or accepted. The display is typically centrally located in the hallway of a ward or at a nurse station.